Over the last couple of months, we’ve seen the emergence and rise of two technology tools that are competing to win us over with real-time, on-demand, video streaming/broadcast with a social media twist. 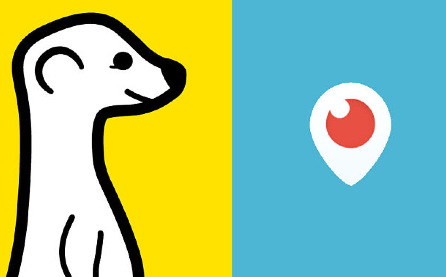 Meerkat and Periscope offer the ability for mobile users to broadcast and view live video from all over the globe with the added function of connecting with other viewers using Twitter. Both apps do similar things, but at the time of writing only Meerkat is available on Android as well as iOS, so we’ll be looking at the experience of Meerkat to begin with. At the top you see user and location details, across the video you see message details and at the bottom you have a few controls; post a message, switch on the flash, flip the camera and stop the stream. Whereas previously, live video streaming apps have been designed around the Desktop use (Skype, Hangouts), Meerkat and Periscope are specifically focusing on the mobile experience, by having full screen video and a commenting overlay with just a few buttons for interaction. I’ve written before about DIY Lecture Capture and these new apps offer similar possibilities for mobile users. With the addition of a Swivl for example, you could stream a live session and have an automated camera operator following you around the room. You could use this for CPD in the form of a lesson observation, have colleagues comment live with their thoughts/feedback. Live streaming might also be great for field trips. You could connect with other staff/students and potential students in real time and learners could choose to document the video through Twitter/Storify and discuss this when back on campus. 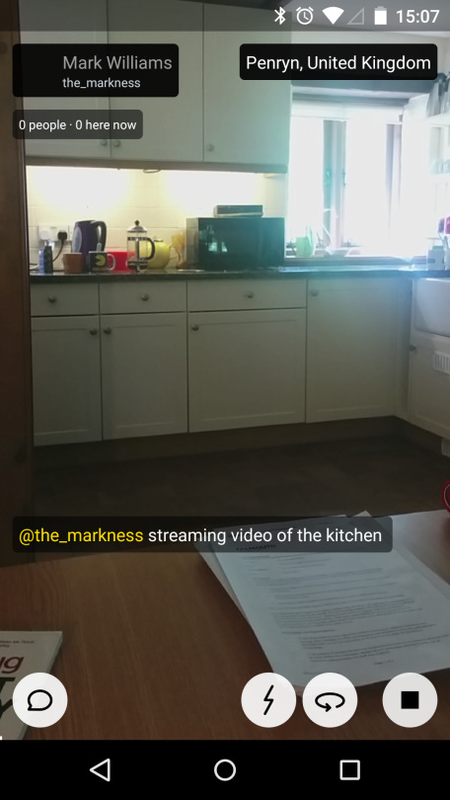 These examples are off the top of my head, the technology is new and many streams will be of people’s kitchen’s as they get used to the app, but there will be educational practitioners already putting this technology to use, so if you have an idea or learning activity that might benefit from on-demand streaming, get in touch with the team.